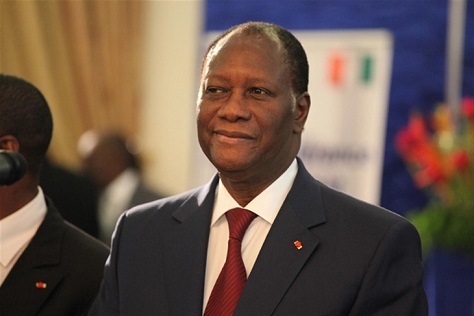 A northerner, 73-year-old Alassane Ouattara must introduce more stability in Ivorian law and politics if he hopes the progress of his administration will last beyond the 2010s. In a more developed democracy, Côte d’Ivoire’s October 25 election might have been a civil rematch of the 2010 contest between the incumbent, Alasanne Ouattara, and his fierce rival, former president Laurent Gbagbo. Instead, Gbagbo is imprisoned at The Hague in The Netherlands awaiting trial at the International Criminal Court as the first head of state to be tried for crimes against humanity that stem from Gbagbo’s refusal to step down from the Ivorian presidency after the 2010 elections, setting the country into its second civil war in a decade as Gbagbo and his allies clung to power. Captured in 2011 by UN and local forces loyal to Ouattara, Gbagbo still retains a loyal following, and supporters want to see Gbagbo freed. Instead, Ouattara easily won the presidential vote, election officials announced last week, effortlessly dispatching Pascal Affi N’Guessan, formerly prime minister under Gbagbo from 2000 to 2003 and a longtime Gbagbo supporter. Ouattara, of northern descent, served as Félix Houphouët-Boigny’s final prime minister from 1990 until the former president’s death in December 1993. Though he attempted to run for president in 1995 and 2000, opponents like Robert Guéï, the country’s military leader from December 1999 to October 2000, managed to have him barred from the race on specious charges that Ouattara was actually born in neighboring Burkina Faso, inflaming northern Muslims by implying that they are something less than fully Ivorian. An economist, Ouattara spent the late 1990s at the International Monetary Fund, where he rose to the rank of deputy managing director. 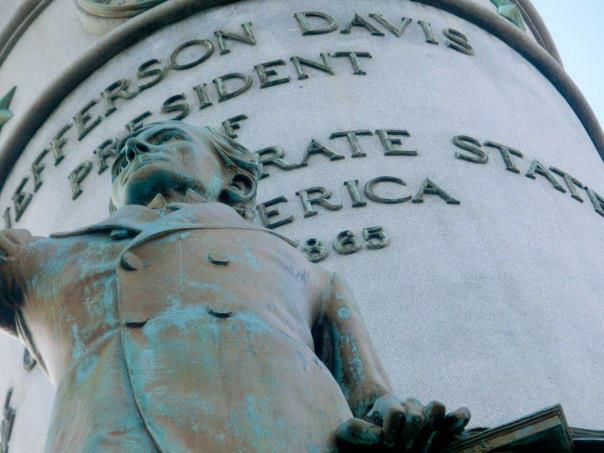 The struggle over the 2000 election and its aftermath directly led to the civil war that broke out in 2002. 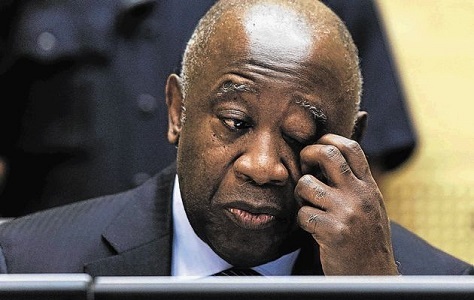 Former president Laurent Gbagbo, who once represented the hopes of the Ivorian opposition, now sits in The Hague awaiting an ICC trial for crimes against humanity. Ouattara officially won 82.66% to just 9.29% for N’Guessan, though many of Gbagbo’s supporters boycotted the vote. That means that the lopsided victory obscures the fact that Côte d’Ivoire remains highly divided on north-south lines. Ahmed Chalabi, known to most Americans as the Iraqi exile who shepherded faulty intelligence to the Bush administration that became the basis for the 2003 U.S.-led invasion of Iraq, died today at age 71 of a heart attack. Chalabi died in his home in Baghdad. 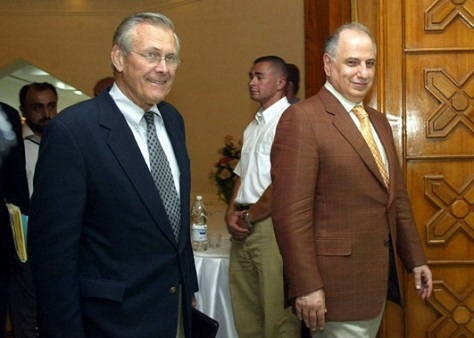 Though Iraq today is as clear a candidate for failed state as anywhere in the world, that obituaries will dutifully report that fact — Chalabi died at home in Baghdad — is perhaps the most salient element of Chalabi’s checkered legacy. No single Iraqi national was more responsible for bringing together the elements that would topple Saddam Hussein’s brutal Baathist regime in Iraq. It’s true, of course, that Chalabi was a corrupt and shadowy figure, and you could have suspected that from the 1980s onward when he fled Jordan amid charges of bank fraud and embezzlement from the Petra Bank that Chalabi founded and ran throughout the decade. 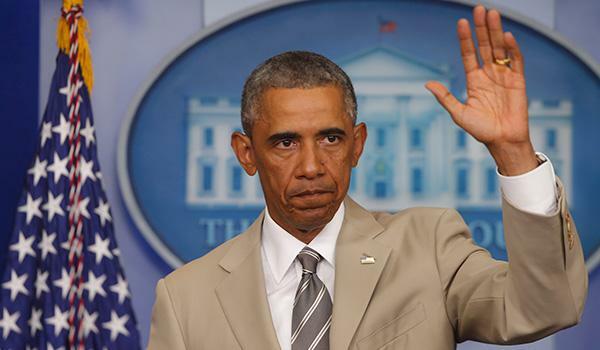 RELATED: Don’t blame Obama for Iraq’s turmoil. Blame Maliki. It’s also true that Chalabi’s Iraqi National Congress (INC, المؤتمر الوطني العراقي) never had any true grassroots following in Iraq during the Saddam era. When Chalabi finally returned to Iraq in the aftermath of the 2003 US invasion, he quickly found that Iraq’s Shiites turned to figures who hadn’t fled into exile for decades — religious authorities like Ali al-Sistani and Muqtada al-Sadr in the 2000s and Ammar al-Hakim in the 2010s, all of whom had far more credibility with everyday Iraqis. Iraq is now in a very difficult situation. This is not what we had hoped for when we worked to liberate the country from the regime of [former President] Saddam Hussein. However, what happened was not a surprise. What happened could have been avoided. The fundamental problem lies in the fact that the United States was working in contrast to what we were working on, and what we had planned. The United States went in the direction of announcing an occupation, while our goal (in the Iraqi opposition), according to an agreement before the start of military operations in 2003, was to form a sovereign national Iraqi government that was recognized by a decision from countries in the [UN] Security Council. [This government would] be committed to holding free elections, so that it could subsequently ratify a constitution. It was all so very predictable and very preventable. The decision by Burundian president Pierre Nkurunziza to seek a third term in the country’s upcoming May 26 elections is spawning a violent and deadly response in a country where Nkurunziza’s agreement to presidential term limits was a key element of the Arusha peace accords that ended the landlocked east African country’s civil war over a decade ago. Amid growing repression in the last two years, and reports of intensified attacks at the hands of the Imbonerakure, a militia and youth wing of the country’s governing party, Nkurunziza’s push to win a third consecutive term in office now threatens to engulf the country once again in political violence that could morph into deeper ethnic conflict. Nkurunziza and his advisers are taking the position that because he was appointed to the presidency in 2005 and elected in 2010, he is technically entitled to run for a ‘second’ term in 2015. Nevertheless, political opposition figures and international observers alike disagree strongly with that rationale. 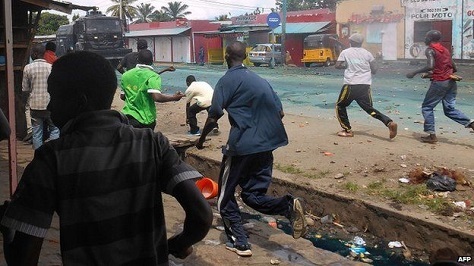 With protesters defying government efforts to disperse crowds in the capital city of Bujumbura, a handful of people have already been killed, and aid workers report that hundreds of thousands are fleeing their homes. In addition, reports indicate that Burundi’s borders were being closed today to foreigners trying to enter the country, and the government is shutting down independent radio outlets. I wrote last summer for The National Interest just how toxic a Nkurunziza reelection bid could become. Above all, the political instability exacerbates the lack of foreign investment in Burundi, which is one of sub-Saharan Africa’s poorest countries. Descent into further political chaos, and resulting internal displacements, would only emphasize the widespread poverty and lack of development throughout the country. The best-case scenario for Burundi would be for Nkurunziza to rethink his reelection plans. It’s difficult to fathom that the governing Conseil National Pour la Défense de la Démocratie–Forces pour la Défense de la Démocratie (CNDD-FDD, National Council for the Defense of Democracy–Forces for the Defense of Democracy) would lose power, even without Nkurunziza leading it as a formal matter. Conceivably, Nkurunziza might even continue to exercise discretion over top government functions, even if he is no longer Burundi’s head of state. If Nkurunziza goes forward for a third term, the opposition will almost certainly boycott the vote, as they did in 2010 when the process was deemed unfair and unfree. That’s not a great outcome, and it would invalidate the election, as a matter of international opinion. That, however, would still be much better than a slide into civil war. Avoiding further bloodshed as the 2015 vote approaches is more important than achieving a milestone for democracy in a country where democracy has never been a priority — and will not be a priority in the midst of a violent clash. The risk is that political confrontation will eventually mutate into the kind of ethnic hatred between the Hutu majority and the Tutsi minority that devastated neighboring Rwanda and culminated in the 1994 genocide. No one today believes that Burundi is necessarily destined for ethnic conflict, but a new civil war, based on either political or ethnic differences, should be a major concern for regional leaders. Rwandan president, Paul Kagame, met with Nkurunziza earlier this month, ostensibly to discuss the rising number of Burundian refugees fleeing to Rwanda. But the term-limited Kagame has pledged to step down as Rwanda’s president in 2017, and there are already rumors he may seek to extend his own mandate. Tanzanian president Jakaya Kikwete in March warned Nkurunziza not to seek a third term, imploring him to respect the terms of the Arusha accords signed in Kikwete’s country a decade ago. CAR and Burundi: From civil war to democracy and… back? Though democracy may not yet be entrenched in central Africa, 2015 marks a pivotal step in the history of at least two countries in the region — one that is potentially transitioning from war to democracy and another now in danger of losing its democracy to further civil unrest or even outright war. The Central African Republic is preparing for presidential and legislative elections in August 2015, which its leaders hope will be a crucial step on the path to peace. 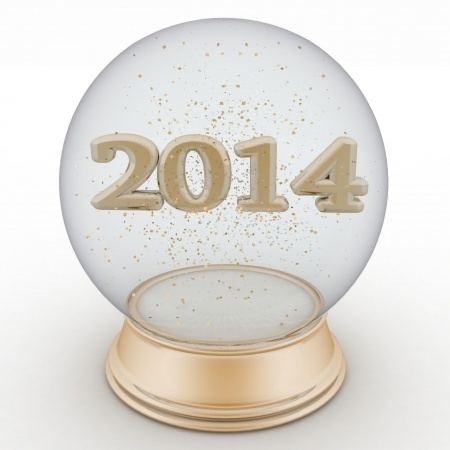 Until the end of 2014, the country was in the midst of a brutal civil war that has displaced over a million people. 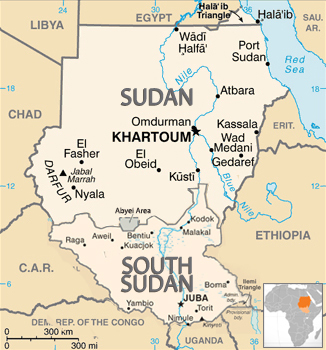 The conflict continues, though the major armed groups have officially disarmed and rebranded themselves into political parties. 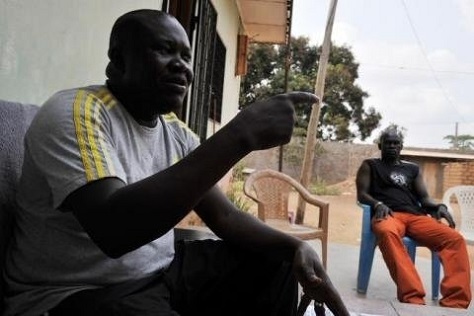 The Parti centrafricain pour l’unité et le développement (PCUD, Central African Party for Unity and Development), headed by Patrice Edouard Ngaissona (pictured above), evolved from the anti-Balaka (literally, ‘anti-machete’) armed rebel group that formed in response to the Séléka movement that brought former president Michael Djotodia to power for four brief months at the end of 2013. The competing Union pour la Paix en Centrafrique (UPC, Union for Peace in the Central African Republic) is the largest of the parties formed from the Séléka alliance. Led by general Ali Djarass, the UPC was the first faction of the Séléka armed groups to disarm and join the transitional government in ceasefire accords needed prior to the elections. Other minor parties, general Joseph Zoundeko’s RPRC (Patriotic Movement for New Central African Republic) and general Nourredine Adam’s Séléka party have also disarmed and joined the political arena ahead of the upcoming elections. The PCUD, supported by the country’s majority Christian population, is likeliest to succeed in those elections. 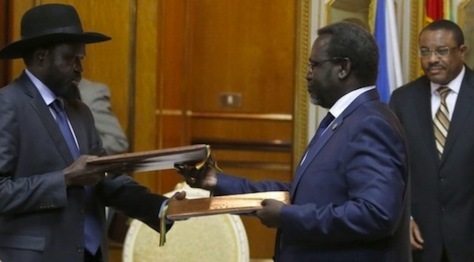 Whichever party wins, however, the next government will face the immediate and urgent task of repatriating nearly half a million refugees from neighboring states; settling internally displaced citizens; rebuilding schools, hospitals, and other needed infrastructure; and establishing a governmental presence outside of Bangui. There will also be a call from both sides, joined by the international community, to bring perpetrators of atrocities committed during the civil war to justice. 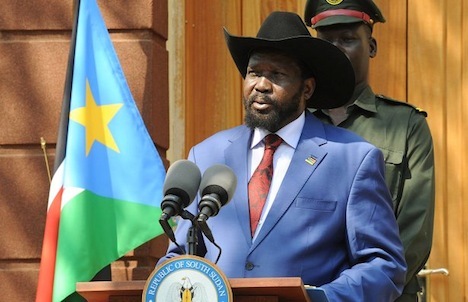 Referring cases to the International Criminal Court might be easier than attempting to try the offenders in the CAR, which will remain bitterly divided from the conflict. Some lessons on how to accomplish the task may be found in Burundi, a country in the great lakes region of Africa, southeast of the Central African Republic. In 2006, Burundi ended a prolonged civil war and held relatively free and fair elections. Though Burundi had a democratically elected leader in Pierre Nkurunziza, its president is now threatening to throw the country into a period of unrest by running for a third term in office. His refusal to step down after his second term and the anticipated amending of the constitution to allow for further presidential reelection has discouraged engagement by opposition parties within Burundi. The only semi-organized opposition to the ruling Conseil National Pour la Défense de la Démocratie–Forces pour la Défense de la Démocratie (CNDD-FDD, National Council for the Defense of Democracy–Forces for the Defense of Democracy) is the Alliance of Democrats for Change (ADC-IKIBIRI), which represents a merger of most of the remaining opposition parties from the prior 2010 elections. The alliance, however, has not solidified behind a single candidate to challenge the incumbent. With elections to be held in June, their time to mount an effective campaign may have already run out. International money is flowing into both countries ahead of the elections in order to establish necessary voting infrastructure. CAR has received nearly $22 million and Burundi received $9.2 million from the European Union alone. For the elections in Burundi or CAR to be considered successful by the international community, the opposition must remain engaged in the political process and put forth viable candidates. These candidates, ideally, are not figures likely to become subjects of future ICC indictments (especially in CAR), which would serve to detract from the situations at hand. 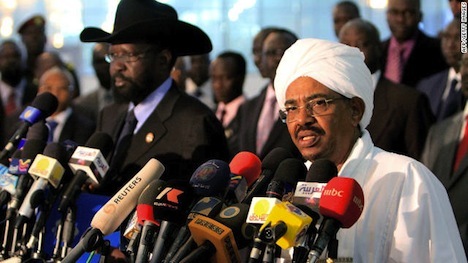 Peace in both countries is expected to remain extremely fragile in the months leading up to the elections. To reduce the chances that the losing party will rearm and try to take power by force, power-sharing agreements may be necessary. Such arrangements are facilitated in the Burundian constitution through the mechanism of electing two vice presidents, one from each of the major Hutu and Tutsi ethnic groups. Perhaps the best-case scenario for both countries would be a small majority of votes going to the ruling (or in the case of CAR, the larger PCUD party). Having a narrow mandate would force the ruling party to collaborate more often with the opposition, allowing them more legitimacy, in turn, for future elections. Kevin Buettner is a graduate student from The Ohio State University studying City and Regional Planning with an interest in international development. Pessimists worry that today could bring the first coup in Sri Lanka’s post-independence history, as political tensions are running high and military forces are rumored to be out in strong numbers as Sri Lankans go to the polls to elect a new president. They’ll do so in one of the tightest such races in Sri Lanka’s history, at least the tightest since president Mahinda Rajapaksa first took power in the 2005 election, and one with profound consequences for the direction of Sri Lanka’s democratic and policy future and with important regional implications for both India and China. 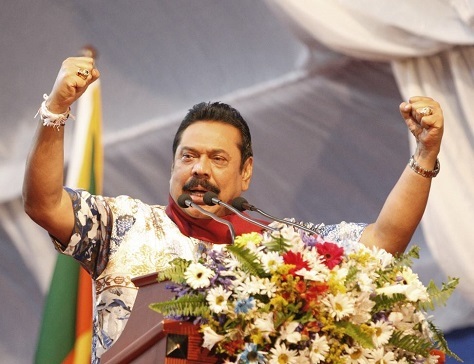 When the folksy Rajapaksa (pictured above) brought forward the election by two years in November, he hoped to take advantage of a fractured opposition and new rules that allowed him to call early election in either of the final two years of his six-year presidential term and revisions to the Sri Lankan constitution that allow Rajapaksa to seek a third consecutive term to the presidency. He didn’t plan, instead, on a close election that could bring his administration to a premature end. Sri Lanka is an island country just off the southeastern coast of India. With over 22 million people, it’s one-third as populous as France (though it pales in comparison to many of India’s states — Tamil Nadu, for example, is home to nearly 70 million people alone). Formerly the British crown colony of Ceylon, the country was trapped for much of the past quarter-century in a civil war waged between the government and the Liberation Tigers of Tamil Eelam (தமிழீழ விடுதலைப் புலிகள்), popularly known as the ‘Tamil Tigers,’ a guerrilla group fighting to form an independent Tamil state. Despite false starts at peace talks, Rajapaksa presided over the group’s military defeat in 2009, a victory that has allowed Sri Lanka to put the fighting of the 1980s and 1990s behind it. Accordingly, under Rajapaksa, Sri Lanka has enjoyed annual GDP growth of nearly 7% over the last decade, doubled per-capita income in the last five years, and marked massive reductions in poverty. Nevertheless, the country remains precariously split between a Sinhalese-speaking majority that practices Buddhism (around 70% of the population) and its Tamil and Muslim minorities. Its Tamil-speaking minority practices Hinduism, not Buddhism — around 11% of the population consists of Sri Lankan Tamils clustered along the northern and eastern coasts and another 4% or so Indian Tamils clustered in the central highlands. Another 10% or so of the population consists of Tamil-speaking Sri Lankan Moors, who largely follow Islam. For all of Rajapaksa’s successes in subduing the Tamil Tigers, he has become notorious for centralizing power in the Sri Lankan presidency since taking power a decade ago and amassing wealth for himself and his family, many of whom populate powerful positions in the government. The widespread impression of corruption and abuse of power is at the heart of the challenge to Rajapaksa’s reelection. 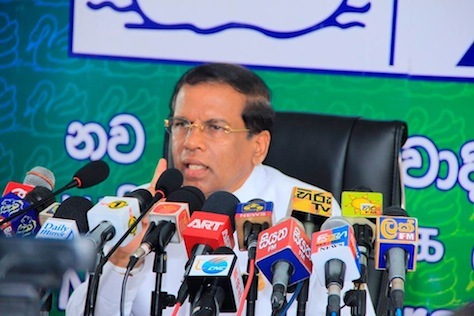 His opponent, Maitripala Sirisena (pictured above), was until November 21, not only the health minister in Rajapaksa’s government, he was the general secretary of Rajapaksa’s ruling Sri Lanka Freedom Party (SLFP, ශ්‍රී ලංකා නිදහස් පක්ෂය), the vaguely center-left ruling party that draws much of its support from the country’s Sinhalese majority. So much for US president Barack Obama’s statement last week* that the United States doesn’t have a strategy to combat the Islamic State group (الدولة الإسلامية‎) in Syria, which has taken control of eastern Syria and, more alarmingly, large parts of northern and western Iraq. In a stunning address for a president whose 2008 election owed greatly to his stand against the US war, Obama announced that he would lead a broad coalition to ‘degrade and ultimately destroy’ Islamic State, and it will include airstrikes in both Iraq and Syria and the deployment of 425 more ‘military advisers’ to Iraq. Obama compared the new US military action against Islamic State in the same category as the Obama administration’s targeted efforts in Yemen and Somalia and against al-Qaeda. Furthermore, he warned that the operations would not involve combat troops or significant ground forces. In that sense, it’s true that Obama’s latest mission against Islamic State is more like its previous efforts against Islamic radicals elsewhere and less like the US invasion of Iraq in 2003. It’s a fluke of random nature that the fearsome Ebola virus is endemic to some of the poorest and least governable countries in the world. But unlike in central Africa, where previous outbreaks were controlled through limited mobility of local populations, the current outbreak, centered in Guinea, Sierra Leone and Liberia, is afflicting a corner of the world that features far greater travel. So while central African countries like the Democratic Republic of the Congo are hardly equipped to deal with modern epidemics, the epidemiological limitations of prior Ebola outbreaks haven’t always required the kind of national mobilization that’s now necessary to bring the west African outbreak under control. Though all three west African countries have worked to build governing institutions, they are all barely a decade removed from some of the most fearsome civil wars in recent African history. That’s left all three countries with populations loathe to trust public health officials, making the Ebola outbreak west Africa’s most difficult governance crisis since the end of its civil wars in the early 2000s. Though the three countries in the middle of the current crisis are relatively small, the news that Ebola has now travelled to Lagos, Nigeria’s largest city, via a US citizen no less, has raised concerns that Ebola could also spread even farther. 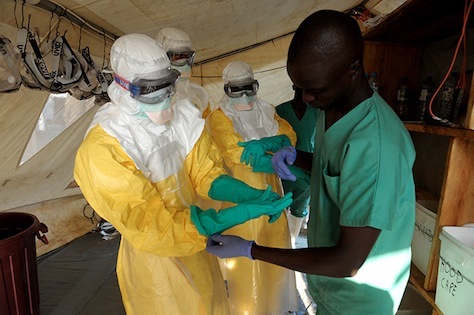 Though the Nigerian government’s rapid response in quarantining and monitoring those exposed to Ebola was impressive, there are already worries that Ebola has crossed the border into Mali, where the government is still battling to unite the country after a disabling civil war with northern Tuareg separatists (and an influx of international Islamist jihadists). The outbreak is already, by far, the deadliest in history, infecting 1,201 and killing 672, as of July 25, according to the World Health Organization. in the three countries since the first case was reported in Guinea in February. 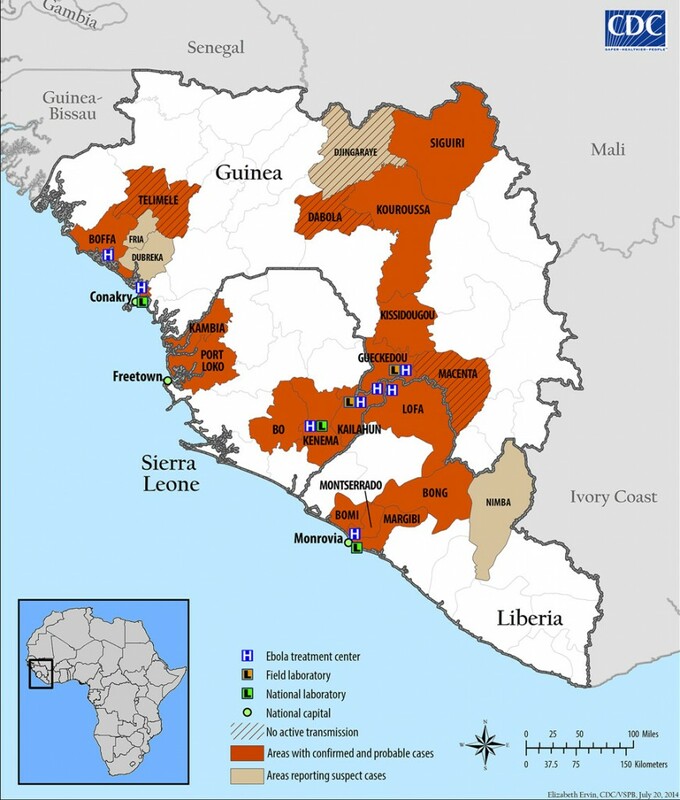 So what exactly are the political and historical backgrounds of the three countries in the maelstrom of the current Ebola outbreak? And how equipped are they to handle a full-blown epidemic? 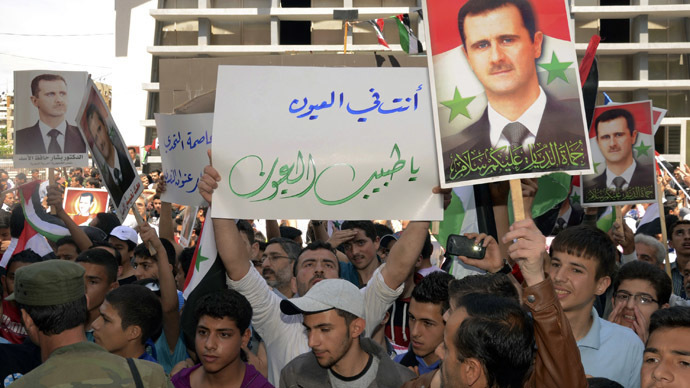 Why is Syria holding a presidential election in the middle of a civil war? It’s always been somewhat baffling to me why authoritarian rulers and dictators go through the motions of sham elections. The voters inside the country know better than anyone else that the elections aren’t a real choice, and in many cases, boycotting the vote or voting for the ‘wrong’ candidate, if a choice is even permitted, can carry perilous results. International observers aren’t really fooled, either. With the proven work of folks like the National Democratic Institute and the Organization for Security and Co-operation in Europe, there’s a 21st century international standard for free and fair elections, and the NDA, OSCE and other similar groups have a thoroughgoing process for certifying the sanctity of elections in developing democracies. Furthermore, in the world of social media and 24-hour news, it’s harder to carry out the kind of widespread fraud. That doesn’t mean elections are perfect. In Venezuela, the collapse of the state, governing institutions and chavismo mean that a totally fair election is almost impossible. But there’s nonetheless a limit — even with a decade’s worth of dirty tricks, Nicolás Maduro managed only a narrow win in April 2013, for example. 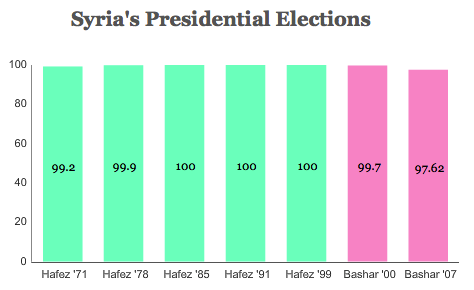 So why is Syrian president Bashar al-Assad pushing forward with an election on June 3? The committee awarding the Nobel Peace Prize historically doesn’t shy away from making political statements through its award — and this year was no different. In retrospect, despite the Western media swoon over 16-year-old Malala Yousafzai, who was shot in the head by the Pakistani Taliban and recovered in the United Kingdom to become a living symbol of the fight for women’s rights in the Muslim world, it makes a lot of sense that the Nobel committee would want to highlight the fight against chemical weapons, given that the use of chemical weapons in the Syrian civil war in August earlier this year was the worst chemical weapons attack since their use in the 1980s by Iraq. Even if the Nobel committee’s goal should have been clear in retrospect, it was always going to be a challenge to identify an individual worthy of receiving the award. Maybe Russian president Vladimir Putin, who took up an offhand comment from US secretary of state John Kerry to broker a United Nations Security Council deal whereby Syria would identify and begin eliminating its chemical weapons stockpiles. But it may have been the US threat of force that pushed Putin to make the offer more than Putin’s natural instinct for peace. Moreover, Putin presides over an awfully authoritarian state, and his record on press freedom, LGBT rights, civil rights for minorities and the Chechnya conflict hardly screams out ‘Nobel laureate.’ It was always more likely that Alexei Navalny, the crusading opposition figure, would win the prize. Or Lyudmila Alexeyeva, the human rights activist and chair of the Moscow Helsinki Group. Or Lilia Shianova, the director of Golos, Russia’s independent voting rights organization. Or Svetlana Gannushkina, who’s been a leading figure in providing humanitarian and legal aid in Chechnya. It certainly couldn’t be Syrian president Bashar al-Assad, who’s leading one side of an increasingly intractable civil war and whose regime was responsible for the August sarin attack on the outskirts of Damascus. Despite Assad’s apparent and swift cooperation with chemical weapons inspectors, he’s still engaged in a bloody fight against a mixed force of Sunni rebels and other opponents who want to end his family’s Alawite regime, which has governed Syria with an iron fist since 1971. It also couldn’t be any of Syria’s rebel forces, some of whom are aligned with the most radical Islamist terror networks in the world. Nor could it be US president Barack Obama, who already won a Nobel Peace Prize in 2009, and his administration’s response to the chemical weapons attack in Syria was bumbling at best. That may be the nature of realpolitik, and the end result is probably beyond what Obama and Kerry ever expected would be possible. But it was hardly a shining moment for US foreign policy. Moreover, both the United States and Russia have so far failed to destroy their own chemical weapons stockpiles, a fact that the Nobel committee acidly noted in awarding the prize. So who was left? The chemical weapons inspectors themselves. Through the process of elimination, the Nobel committee decided to award the prize to the entity whose very job is the elimination of chemical weapons in Syria and throughout the world. 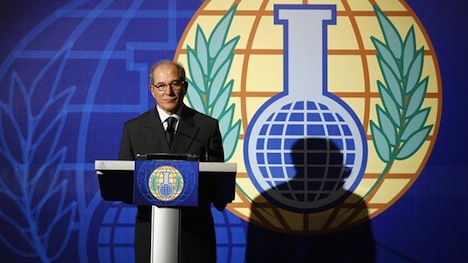 That’s the Organization for the Prohibition of Chemical Weapons (Ahmet Uzumcu, the OPCW’s director-general pictured above), a 16-year-old organization based in The Hague in the Netherlands and the watchdog tasked with keeping the world’s countries in compliance with the Chemical Weapons Convention — and which is now playing the crucial role of effecting a deal that should eliminate Syria’s chemical weapons capability by mid-2014, if all goes according to plan. The challenge in Syria represents the most high-profile challenge for the OPCW since its creation but, so far, the OPCW is rising to the task. Awarding the Nobel Peace Prize to an organization sometimes falls like a wet blanket, even though it’s happened 24 times since 1901. This year’s award follows the decision last year to award the prize to the European Union for its role in becalming the European continent over the past seven decades. Giving the award to the OPCW instead of Malala (or even Putin or another individual) didn’t necessarily provide a picture-perfect, feel-good catharsis. But it rightly shines a spotlight on an unheralded protagonist at a time when the OPCW’s work is far from complete — even if it succeeds in Syria, the world won’t be rid of chemical weapons. Photo credit to AFP / Bas Czerwinski. First, the powerful Shiite political organization Hezbollah does something outrageous with respect to opposing Israel or supporting Bashar al-Assad in Syria. In doing so, Hezbollah makes it clear that not only is it willing to prioritize its own international policy over maintaining Lebanese unity, but that it has sufficient military and political power to do so no matter what anyone else in Lebanon thinks. Finally, everyone else in the Lebanon grumbles at Hezbollah for usurping the military and political roles that should properly belong to the Lebanese government, and in so doing, jeopardizing the fragile national unity that everyone else in Lebanon has been boosting since the end of Lebanon’s own civil war in the 1980s. It was Hezbollah, after all, that was responsible for rope-a-doping Israel into the 2006 summer war — though it turns out that Hezbollah was successful in forcing an end to Israeli military occupation in southern Lebanon, it was Hezbollah (not the Lebanese government) that decided that it was appropriate to provoke Israel into a months-long bombing campaign that destabilized all of Lebanon, not just the southern Shiite strongholds where Hezbollah’s influence is strongest. That storyline has become increasingly complicated with Sunni groups that are now becoming more ‘Hezbollah-like’ in prioritizing their support of (largely Sunni) anti-Assad rebels in the Syrian civil war as Hezbollah has made it clear that it will openly and notoriously support the Assad regime, thereby risking Lebanese unity even more. But by and large, the story of Lebanon’s attempt to stay out of trouble in the Middle East over the past decade has involved trying to pull Hezbollah back from the ledge. So while no one ever welcomes a bomb blast of the kind that Lebanon suffered yesterday — a blast in the largely Shiite southern suburbs of Beirut that killed up to 20 people and injured nearly 300– it is heartening to see that the response from the entire political community in Lebanon has been to condemn the bombing. Though a murky, heretofore unknown group calling themselves the ‘Brigade of Aisha, the Mother of the Faithful’ took credit for the attack, it could have been any number of Hezbollah’s enemies — radical Sunni groups within Lebanon, anti-Assad rebels from Syria angry at Hezbollah’s growing role in propping up Assad or, perhaps more outlandishly, Israeli special agents who want to take Hezbollah down a peg or two (as Lebanese president Michel Suleiman appeared to suggest yesterday). The larger point here isn’t who was responsible for a bomb that seems squarely aimed at Hezbollah, but that even when the shoe is on the other foot, when it’s Hezbollah that’s the victim and not the instigator of violence in Lebanon — even despite its role as a wayward force that causes all sorts of problems for everyone else in Lebanon who just want to live their lives peacefully and in harmony — the attack is condemned not only by Lebanese Shi’a, but by mainstream Sunni and Maronite leaders as well. 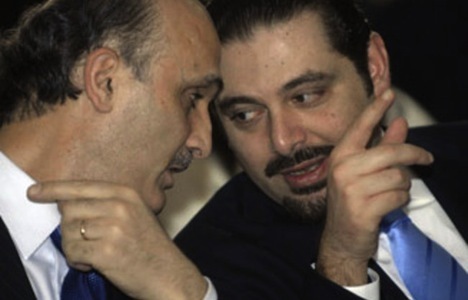 Former prime minister Saad Hariri, who is about as strong an opponent of Hezbollah as anyone, denounced the attack, as did Samir Geagea (pictured above, left, with Hariri, right), the leader of the Lebanese Forces, a Maronite group. and Christian Maronite (president Michel Suleiman) leaders who are certainly do not count themselves among Hezbollah’s fans. If there’s one silver lining to Thursday’s attack, it’s that the Lebanese political community had an opportunity to show Hezbollah and its supporters that national unity means just that — when you attack one group of Lebanese, you attack all of them, despite the fact that there are many, many differences among Lebanon’s myriad political and religious communities. It’s a subtle point, but it’s important, and it’s one of the reasons why Lebanon (much to its credit) has avoided much of the blowback from Syria’s destabilizing civil war.